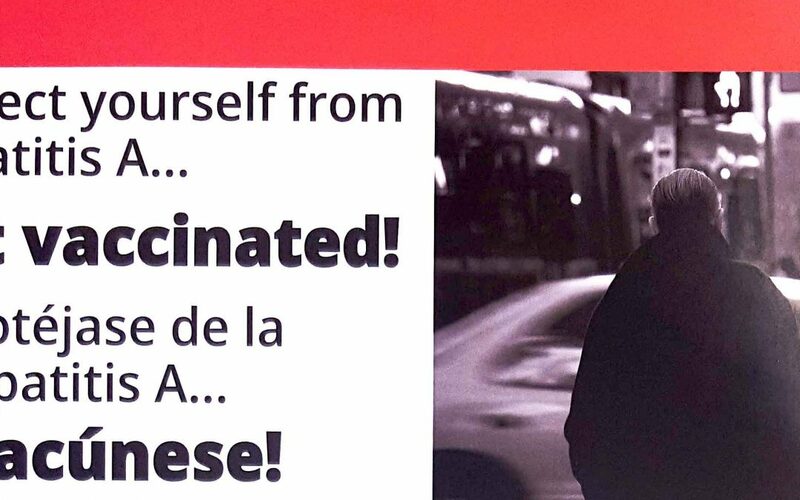 Hepatitis A is a serious liver disease caused by a virus. The virus is found in the feces of infected people. If a person has an infection with the hepatitis A virus, it can easily spread person-to-person and cause liver disease lasting a few weeks to a serious illness lasting many months. In some cases, people can die because of hepatitis A.
HIGHLAND PARK, MI — For more than two hours Saturday (Sept. 16), the parking lot just outside the doors of the S.A.Y. Detroit Family Health Clinic was transformed into a vibrant gathering spot for the community. 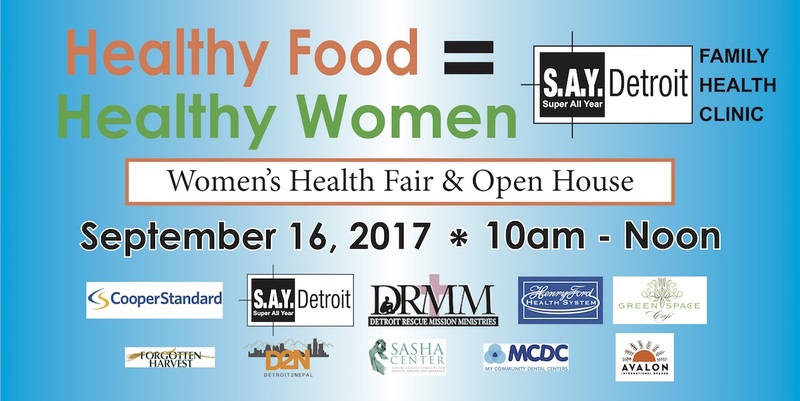 Called “Healthy Food = Healthy Women,’’ S.A.Y. Detroit hosted its first women’s health fair and open house to increase its outreach and visibility in one of metro Detroit’s most-challenged neighborhoods while also celebrating the good work the clinic has done for the community for the past nine years. 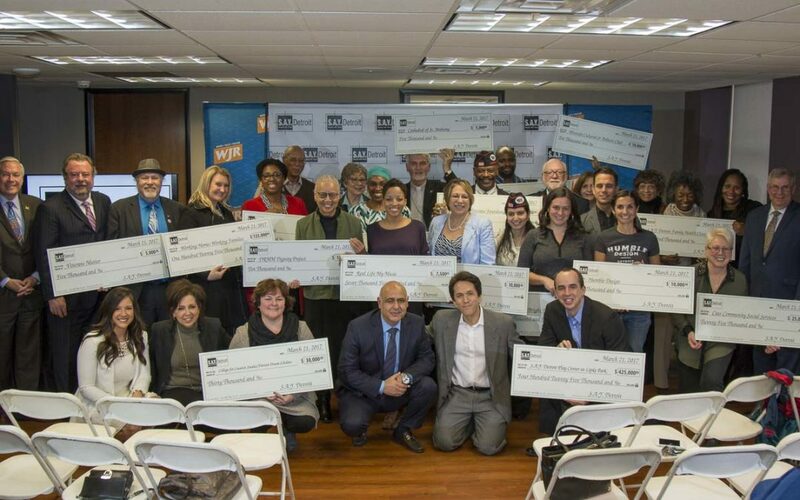 The S.A.Y. Detroit Family Health Clinic, which is located at 211 Glendale Avenue, between Woodward and Hamilton, was established in 2008 by S.A.Y. Detroit founder Mitch Albom as the nation’s first free medical clinic for homeless and uninsured women and children. Operated by the Detroit Rescue Mission Ministries, the clinic records more than 4,000 patient visits annually. 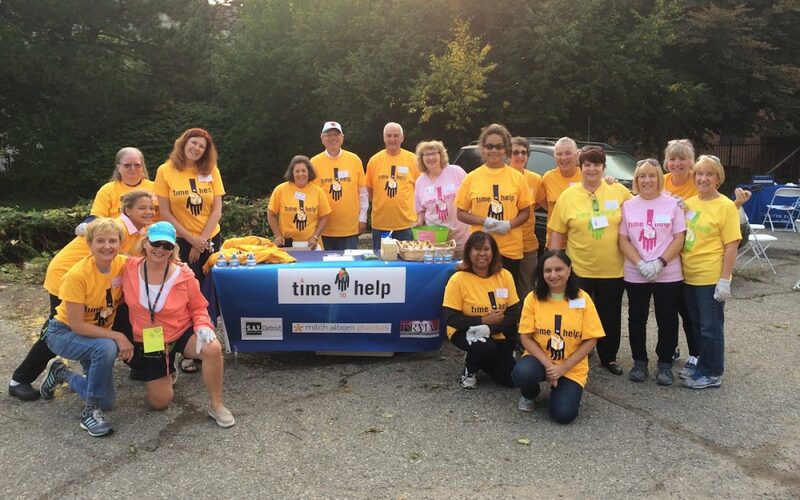 Area residents who attended the free event – which was run by 20 members of Albom’s A Time to Help volunteer team — were treated to a continental breakfast sponsored in part by Avalon International Breads and Forgotten Harvest. Henry Ford Health System provided free blood pressure and BMI testing, while SASHA Center had a booth set up to distribute information about its sexual assault services nonprofit. 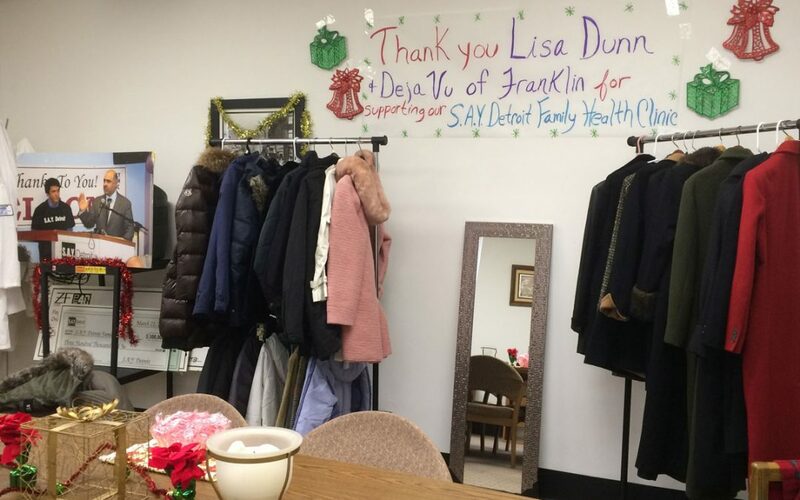 In addition to those donations, S.A.Y. Detroit would also like to thank Dr. Joel Kahn’s GreenSpace Café in Ferndale for distributing free vegetables; My Community Dental Centers for its free giveaways; Smiggins the Clown for entertaining and painting children’s faces; Dr. Richard Keidan of Detroit2Nepal Foundation for his assistance in organizing the event, and the Cooper Standard Foundation for its longtime sponsorship of the clinic. A special thank you to all of our sponsors: Cooper Standard, DRMM, Henry Ford Health Systems, Greenspace Cafe, Forgotten Harvest, Detroit2Nepal, SASHA Center, MCDC, and Avalon Bakery. Dr. Peggy Richardson, the S.A.Y. Clinic’s medical director, and Dr. Keyshia Covington took residents and guests on tours of the clinic. Chris Skellenger of Buckets of Rain — an urban garden nonprofit — also informed visitors of its program, which provides homeless shelters with free produce and other food, and has one of its main gardens across the street from the clinic. A packed waiting room greeted Dr. Keyshia Covington and the S.A.Y. Detroit Family Health Clinic staff on Thursday morning. The main reason was right outside the door: It was the day that The Anthony L. Soave Family Mobile Mammography and Health Screening Center was at the clinic to ensure that all women have easy access to high-quality breast health services regardless of their ability to pay. 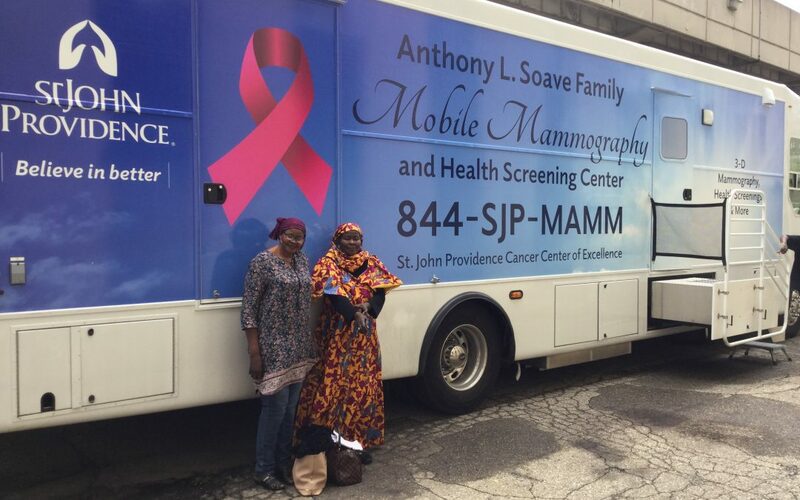 The Soave Family mobile unit is part of St. John Providence’s mission of making screening mammography accessible to those in need in and around metro Detroit. Nearly 20 women received free mammograms beginning at 9 a.m. at the S.A.Y. Clinic on Glendale. It marked the second time this year that the mobile unit visited the clinic. 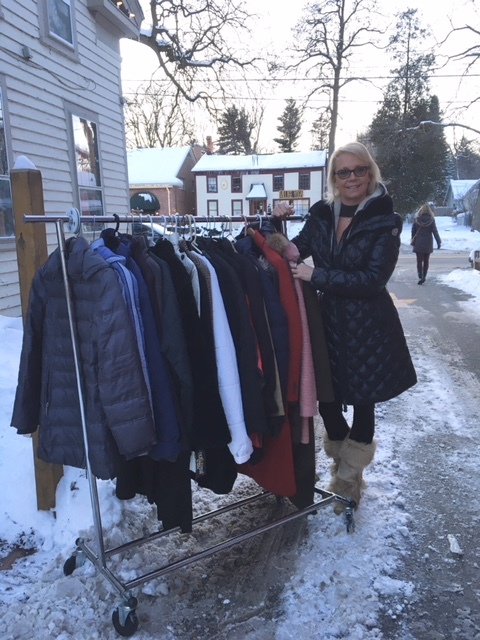 S.A.Y. Detroit is deeply appreciative of St. John Providence and The Anthony L. Soave Family Mammography and Health Screening Center for helping serve the female patients at the clinic.